Tim Banaszek and Max Velarde believe the offensive line is the heart of any football team. If that is true, the Falcons have a lot of heart, with Banaszek and Velarde being true team leaders through the offseason, helping Prairie prepare for 2018. Photo by Mike Schultz. Edited by Andi Schwartz. BRUSH PRAIRIE — They stand so tall, even if, by offensive linemen standards, they are not so big. Tim Banaszek is 5-foot-9, and Max Velarde is 5-8. Not exactly the prototypical measurements for a center and a left guard. They do have things much more important than height, though. They have the will to lead, the desire to improve, and the passion to turn Prairie into a winner. That makes them gigantic. 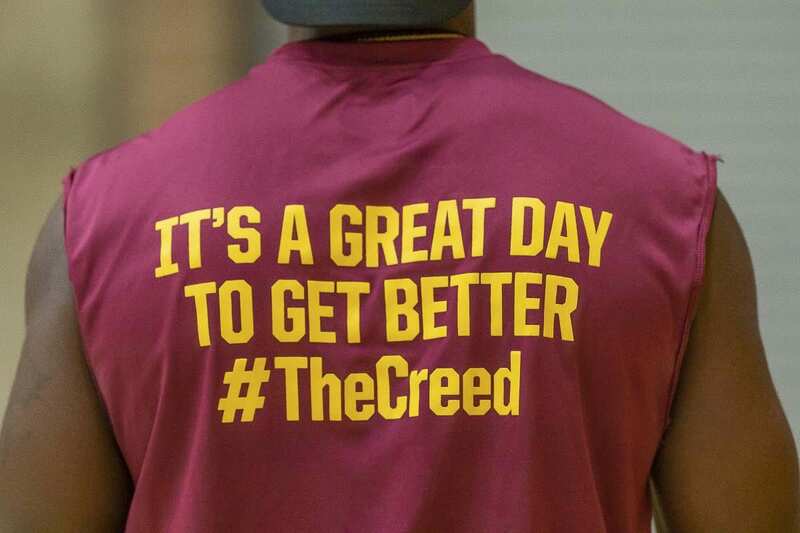 That makes them true leaders for a program trying to turn around decades worth of struggles. The Falcons have had one winning season this century. If Banaszek, Velarde, and the rest of the linemen do their jobs this season, they will have a shot at five — or more — regular-seaosn victories. They understand that pressure. They love that pressure. Which is why Velarde, a senior, and Banaszek, a junior, are members of the program’s leadership council. In all, there are 10 players, representing freshmen through seniors, who try to lift up their peers in order to get them to practice, to workouts, to dedicating themselves to football. Weight training in the offseason. Then spring drills. And summer conditioning. It can be a lot. 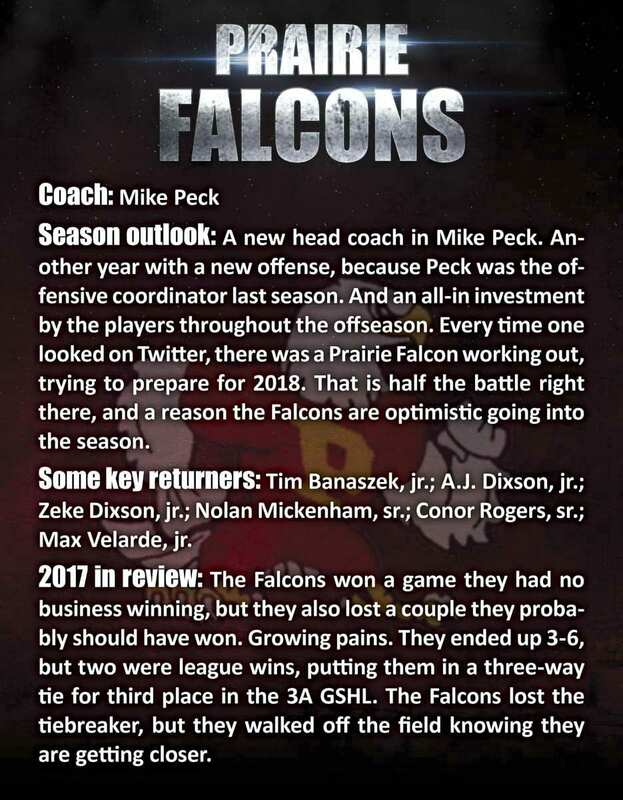 The Falcons realize that it is going to take a lot to turn Prairie into a winner. “We just have to push through,” Banaszek said. They keep pushing their teammates, and their coach has noticed. 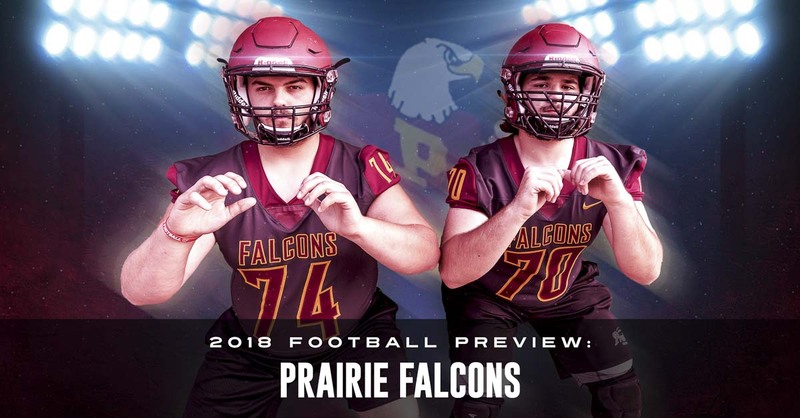 “They are the model for what Prairie football is all about,” said first-year head coach Mike Peck, who was the offensive coordinator last season. A look on Prairie football’s twitter account shows an emphasis on offseason workouts. 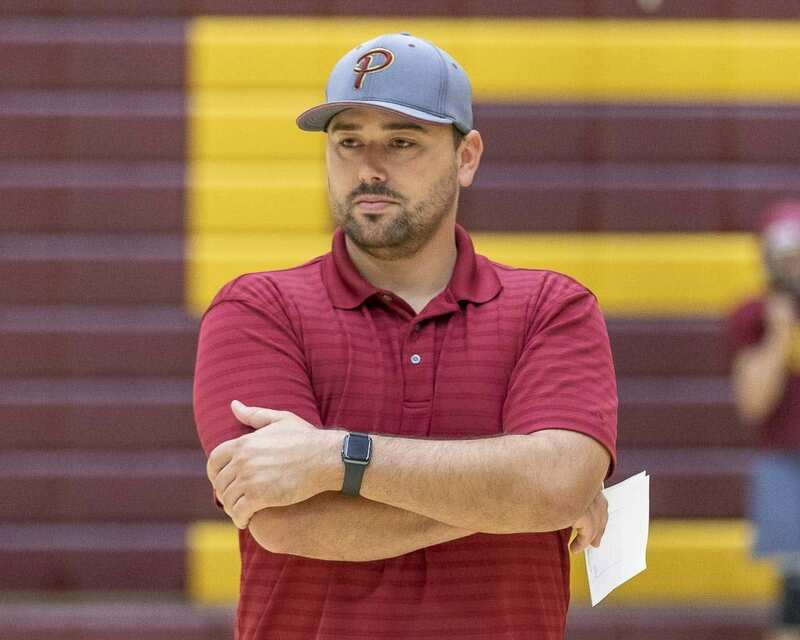 Peck constantly praises his players for their commitment. Peck wanted to give a shout out to all of the athletes who have gone above and beyond the expectation this offseason, particularly Banaszek and Velarde. “They work hard. They’re always giving great effort. They have great attitudes. They’re great people to be around, and the other kids love them,” Peck said. Every successful football season starts up front, too. “He sees our dedication to the sport, and to the team,” Velarde added, before amending that statement. That family often gets together off the field, as well. Banaszek’s family home has a spare room, a place for teammates to hang out and play games. “Everyone just gets together more. In the last few years, not everybody was fully in it,” he said. 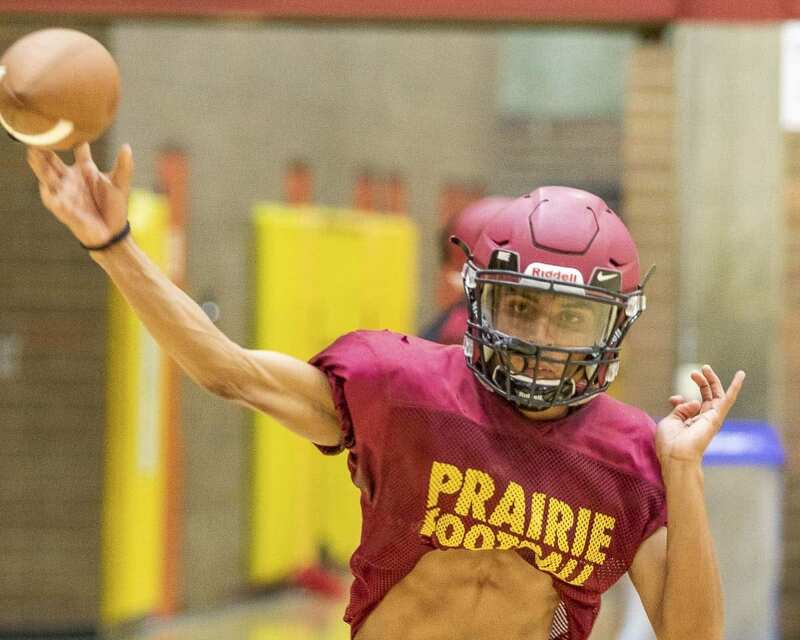 This year, there is a new vibe with Prairie football. Velarde and Banaszek both said, at the same time, “League championship” when asked of the team’s goal. 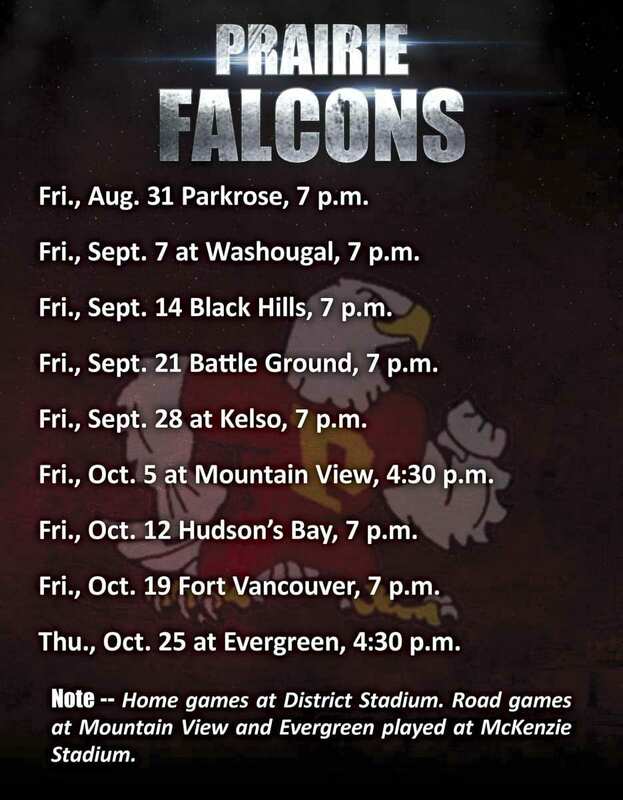 That would be quite impressive considering Mountain View is in the league and the fact that Prairie has just that one winning season since 1998. That is the point, though. Things are changing at Prairie.